Are you looking for a natural bronchitis treatment? Do you get a cough that wont go away, sometimes for several weeks at a time? Do you constantly get told by others that you need to go and see a doctor? Does the cough sometimes get so uncontrollable that it starts to hurt? Does your cough keep you awake at night? Does your cough inexplicably disappear only to return months later? Have you tried antibiotics, cough suppressants and other medical treatments? Did you fail to find even the slightest benefit? I'm Nurse Jon RN, a holistic nurse. I am also a former chronic bronchitis sufferer who have found the ultimate chronic bronchitis treatment. It can be found in the water you drink. However, it is not just any water. It has to be the right kind of water. 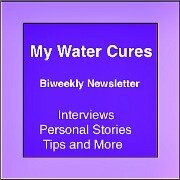 The water cure we promote on this site will work but it has limitations. It May take at least a week to work. One of the treatments you will discover here works almost immediately. 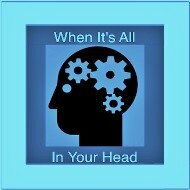 Before telling you what you need to do along with why and how this treatment works, let me tell you my journey here as it provides the information that may help it work for you as well. You may be asking, does this way of treating bronchitis really work? Well, I am giving this to you for free. You do not need to buy anything from me to get the treatment. I am telling you because I suffered with this for years and was not able to find a safe effective way to relieve the cough. On becoming a nurse and a scientist, I started to study this phenomena called chronic bronchitis. What I learned about treating bronchitis, even most doctors who provide treatments for bronchitis are not aware of. My first medical bronchitis treatment, which actually worked, involved using a combination of drugs. As far as science is concerned, it was safe to use the cocktail of the drugs that I used. However, it soon became apparent that there was a serious side effect. It is on the drug warning that doctors see in the Physicians Desk Reference but not on the package that you or I will read. The problem with the drugs: memory loss. Yep, drugs have side effects that we are often not told of. This side effect is not a good one if you like to remember things as you need to when you are a nurse. I soon left this bronchitis treatment behind. Then the cough came back again, and again, and again. 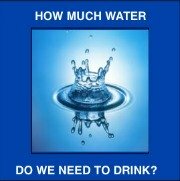 I tried drinking one glass of water after another but drinking tap water alone did not help. 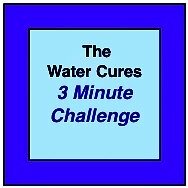 Aware of the water cure, somehow, the thought of trying it did not occur to me initially. When friends would say I need to go see a doctor for the cough I would joke with them about my cough. Actually through the years numerous doctors have made a lot of money from me without providing any relief or even answers. So, setting out to learn everything about coughing and causes yielded even more clues as to how to treat my bronchitis. Remember, I'm not a doctor. I'm a nurse and a scientist. Nurses in particular are taught to think holistically. Not all nurses hold true to this training but this was the core of how I treated my patients. To tackle the bronchitis treatment research involved looking at the whole person, not just the symptom. Some coughing is actually not bronchitis, it may be cough variant asthma. By some estimates, up to 50% of all chronic coughs are caused by undiagnosed cough variant asthma. When we have chronic coughing, our bodies are usually in a state of acidosis or are on the acid side of the acid base balance. When we have chronic cough, we are also chronically and unintentionally dehydrated. When we have chronic cough, we have not only a fluid imbalance, we have an electrolyte imbalance. When you put these together, there is a perfect storm for the for the various triggers of the cough, whether it is a cough variant asthma or it is chronic bronchitis. In my case, because of the wheezing, it was easy to see my cough was of the cough variant asthma kind. Then, as I continued looking for a solution, what was needed was to reverse the above conditions. 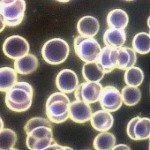 How to make the body alkaline fast but safely was the question. One way to reverse the acidosis or our bodies being acidic is to eat foods that help the body become alkaline. A second thing that helps is avoiding sweets, at least until the cough ends. Also on the to avoid list is low fat milk. 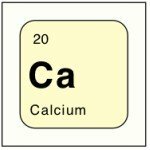 It also causes the body to become acidic, which is bad for the bones. Making these dietary changes worked but it still took considerable time to see any benefit. Incidentally, lemon juice mixed in water helps the body become alkaline. 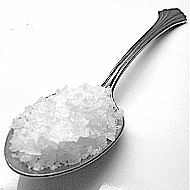 In time, I did try the water cures, dissolving unprocessed sea salt in the mouth so it is absorbed in the gums and gets into the blood. Then drinking water, the water cures too helped but it took time, sometimes a week or more. Hey, in looking for the bronchitis treatment, anything that cuts the time from several weeks to a few days was worth it. However, I wanted something even faster. I needed to work and live. Then one day, I had a hospice patient that had a urinary tract infection. This patient had a catheter and the urine in the bag was cloudy. This is a sure sign that he had an infection. Infections are easily cared for by antibiotics. There was one problem though. This patient was very close to death. He had not started actively dying but he was close. Had he been given an antibiotic, within a few days he would not have been able to continue to take the antibiotic orally. The result of not completing the antibiotic would have resulted in the infection growing and suffering an even more painful death. 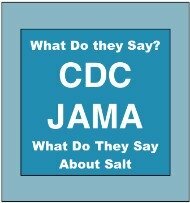 Ironically, I had just been researching the use of sodium bicarbonate for UTI's. They were a common treatment for this kind of infections decades ago. I learned about them doing an exhaustive research, reviewing outdated reports and studies. On getting an order from the doctor for Alla-seltzer, which is sodium bicarbonate or baking soda with a fizzing agent, the family gave it to the patient. The order was made at 2 PM and the treatment given between 4 and 5 when the family was able to get it and give it. On visiting the patient the next morning at 7 AM, the most remarkable thing had happened. The urine was clear again. No antibiotics and the patient was granted another several days of life, pain free. So, the next time I had a chronic cough, trying the baking soda dissolved in water seemed like the logical solution. Please note: it is essential that the baking soda be totally dissolved in the water before you drink it. The undissolved baking soda could cause harm to the lining o your stomach. But, the baking soda in the water did not provide the immediate cure I was looking for. It took a few years to find out why. The failure of baking soda to cause the body to become alkaline as fast as it worked with the urinary tract infection was because it needed to be systemic. it had to travel to every cell of the body, especially the lungs. This takes time. Also, water has a cellular memory. Simply adding the baking soda to the water did not change the way the body read the water, which in my case, was acidic. To be sure, it works after several days of tanking it. But, it should not be taken for more than several days. Also, I was looking for instant relief. Something that would work as you would imagine we are led to believe medicine should work, only with out the bad side effects. Then one day the big thought occurred to me. It was staring me in the face yet I could not see it till this one day. It dawned on me to drink alkaline water. I did not work my way up from less alkaline to more as is recommended. I went for the most alkaline water I could get my hands on. In doing so, something remarkable happened. Relief!. I had found the ultimate bronchitis treatment. Within 45 minutes of drinking the water, the coughing stopped. This treatment worked for 4 hours. This was a welcome relief as I had a public speaking gig that night and could not afford to be coughing in front of an audience. After about four hours, the cough returned. Drinking another tall glass of the alkaline water brought me a night of relief. Continuing drinking the water for the next few days ended the cough. And that is it: Drinking Alkaline Water, helping the body become more alkaline will help manage either viral or bacterial infections that cause inflammation. End the inflammation and you end the irritation that results in a cough. To learn more on how to eliminate your chronic cough of bronchitis, go to... The Baking Soda Water Cures Bronchitis Protocol: Stop Coughing Now.